We have been cleaning up so many homes on Maui, that sometimes we forget to stop a moment and appreciate our hard work. Here are some pictures of our pressure washing work around beautiful Maui. 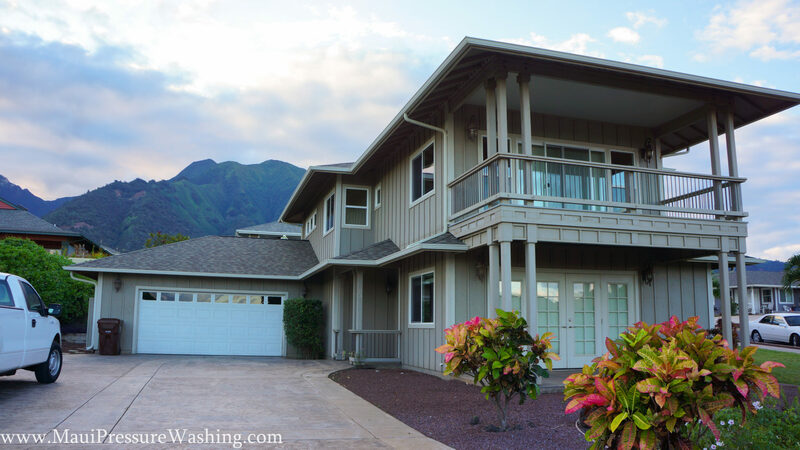 Below are images collected over the last few months, mostly consisting of pressure washing homes, cleaning out gutters, window washing around Maui, and concrete cleaning. 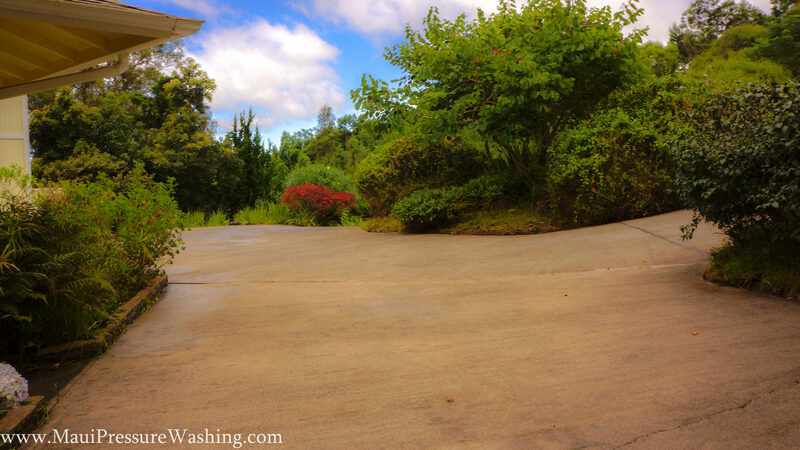 We also did lots of driveway cleaning around Maui, cleaning up oil and extremely old dirt. The views from the gutters that we cleaned this week were phenomenal! All of the gutters were so dirty, but the air was so clean up in Kula. We cleaned gutters in Paia, Kula, and Kihei this week. Cleaning House Exteriors on Maui, Driveway Cleaning on Maui, Gutter Cleaning around Maui, Pressure Washing on Maui. Bookmark.